It is a multi-platform placed on the hitch ball that allows effortless transport all kinds of objects such as pushchairs, wheelchairs, cases, etc. The TOWBOX charge is placed on the hitch ball. It does not limit the vehicle speed. No need to spend ITV. It can be placed by one person in seconds. It is the best ally for bulky loads. Also avoid staining your vehicle when transporting dirty or wet objects. By rules of the DGT it is compulsory to wear visible signaling plate V20 outbound load on all models of TOWBOX. 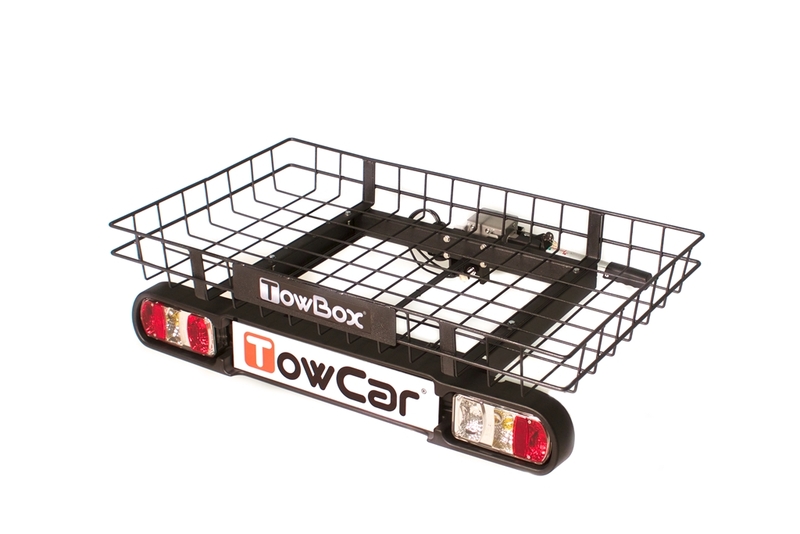 See the user manual of your vehicle to calculate which payload can carry the TOWBOX. Note: The carrying bag Duffel Handi is not included in the TOWBOX Cargo.